You Are Here: Home » Entertainment » Why HD Is The Better Choice? Why HD Is The Better Choice? The difference between a high definition television and standard definition television lies in the resolution of the picture they provide. 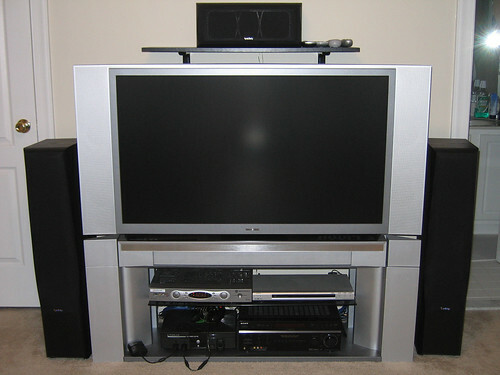 The resolution of high definition television is substantially greater than that of the other. You may think of this as being the ability to transmit more information because of the transmission of a greater number of pixels. When high-definition television is broadcast at 2.1 megapixels per frame, it provides almost five times as many pixels than standard-definition television. It is in this difference of pixels that the real advantage of HDTV lies. The picture which is formed on your television screen is made up of many small pixels, and all of them carry information about the image. More pixels mean more information and this allows the production of a clear, true-to-life picture on the screen. Pictures that are telecast through high definition technology are more detailed than those on standard definition television. Further, high definition television has a higher aspect ratio. This is the ratio of the width of the television screen to its height. A higher ratio, like the 16:9 ratio that is offered by high definition television means that the picture you see is more cinematic, as it fills your field of vision. This also means that images do not have to be cropped sideways. With a standard definition television, however, this ratio is 4:3, which corresponds more to a square image. Often, this means that images are cropped sideways and you never get to see the full picture. Things might have been different till the world relied upon analogue transmission of these high definition television signals, as they took up too much bandwidth. Transmitting of high definition images was simply not practical with this old technology, and only the military and defence forces of the nations of the world enjoyed anything close to high definition images! All of this changed when new technology arrived on the scene and high definition television could be transmitted through digital signals. This use of digital transmission means that high definition images can be compressed to a great degree and take up much less bandwidth than before. It may be said that the advantages of high definition cannot be enjoyed without digital transmission to go along with it. So, the advantages of high definition television are many: you get a clear, crisp, detailed image on your television that keeps intact a lot of how the real images were. You also have a more cinematic experience. However, it is a mistake to think that merely buying a high definition television means that you will be able to enjoy all these advantages. Other factors also come into play. First, it make be that your television supports high definition images, but if a television show was not shot using the same technology and relied on standard definition cameras instead, the picture quality will not be great. In fact, the picture may, in such cases, be stretched to fit the high definition screen you have on your television, looking unnatural and far from good. Besides, the station that transmits the show to you should do so in high definition, and you must have a set top box or a high definition box that allows you to receive signals in high definition format. The HDTV is the future of the modern entartainment and switching to HD will reveal a whole new world of visual experience fo you.